William Lowell Putnam, III (“Bill”) died December 20, 2014 in Flagstaff AZ at the age of 90. Putnam was a prominent alpinist, broadcaster, and, for 26 years, Sole Trustee of the Lowell Observatory in Flagstaff, AZ founded by his great uncle Percival Lowell. Bill Putnam was born in Springfield, Massachusetts on October 25, 1924, the third of six children born to Roger and Caroline Putnam. While studying geology at Harvard, he volunteered to fight in World War II, enlisting as a private and joining the elite 10th Mountain Division, a specialized ski unit trained to fight in mountainous and arctic conditions. He served in both the Aleutian and Italian campaigns, rising to the rank of first lieutenant. He was awarded two Purple Hearts for injuries sustained and earned the Silver and Bronze Stars for gallantry in action. After the war ended, Putnam returned to Harvard to finish his schooling in geology and then briefly taught geology at Tufts University. In September, 1951 Bill married Joan Faith Fitzgerald. The couple’s second child, William Lowell Putnam IV (Lowell) was born in 1954 and in 2013 succeeded his father as Sole Trustee of Lowell Observatory. Moving back to Springfield, Bill turned his attention to television. 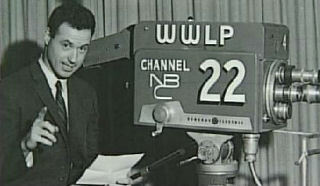 In 1953, he founded WWLP, Springfield’s first TV station and the first licensed UHF television station in the United States. He made the station a leader in the community by showcasing a variety of local events including the Holyoke St. Patrick’s Day Parade. He added stations in Dayton, Ohio and Salt Lake City, Utah in the years that followed before selling the corporation in 1980s. For his pioneering efforts, Putnam was inducted into the Broadcasting Hall of Fame in 2001. Noted for his involvement in the community, Putnam was recognized with the William Pynchon Award and by the National Conference for Community and Justice. He led the rebirth of Forest Park as a noted recreational destination through his work as a Commissioner of the Parks in Springfield. More recently he helped lead fundraising for the restoration of the Campanile. While making a name for himself in the broadcasting world, Putnam also became prominent in mountaineering circles. He made several first ascents and exploratory expeditions in the Selkirk Mountains of British Columbia, establishing himself as a distinguished American climber. He served as president of the American Alpine Club and vice president and council member of the International Mountaineering and Climbing Federation (UIAA). 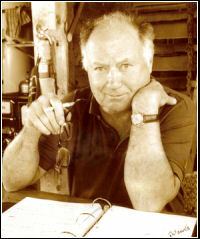 Putnam edited Canadian Rockies climbing guidebooks for years and in 2002, an alpine hut in the Selkirk Mountains was renamed the Bill Putnam Hut in his honor. Locally, he was known for a variety of successful mountain rescue efforts of stranded climbers in the White Mountains of New Hampshire. Bill was an OH Special Member, Mt. Washington Observatory trustee, the author of the Joe Dodge biography and regular organizer of the OH Spring Brawl game. Bill later took up writing and authored a score of books about a variety of topics, including mountain climbing, Lowell Observatory history, his wartime adventures, his recollections of the early days of WWLP-TV, railroads, merchant ships of World War I, and freedom of the press. After retiring from broadcasting, Putnam assumed the Trusteeship of Lowell Observatory from his brother Michael. Bill would hold this position for 26 years, retiring in 2013. During his years at Lowell, Putnam significantly expanded the visitor program by spearheading the construction of a new visitor center in 1994. On the research side, he worked closely with then-director Robert Millis in developing and realizing a vision of a major modern facility, the Discovery Channel Telescope. In one of his final significant acts as trustee, Putnam guaranteed the construction of a new library and repository, the Putnam Collection Center, which opened in June, 2014. Putnam and his second wife, Kathryn Elizabeth Putnam (“Kitty”), made significant philanthropic contributions. In Flagstaff, some of the recipients of their patronage included the Flagstaff Symphony Orchestra, United Way of Northern Arizona, and the Flagstaff Festival of Science. Because of his long record of philanthropy in the community, Bill was honored with Flagstaff’s Viola Legacy Award in 2013, given annually to a citizen for lifetime contributions to the arts and/or sciences in the Flagstaff area. A memorial service will be held at the Barney Carriage House at Forest Park in Springfield, MA on Saturday, December 27 from 1-3 p.m.
Harry Adams, of Wichita KS was born on Jan. 19, 1932, son of Norman I. Adams II and Genevieve Sloan Adams . He died peacefully in the early morning of Dec. 18, 2014. Harry is survived by nieces, Pam Adams and Sarah Adams Hayden; nephews, Norman Adams IV, and Daniel Adams. At the time of his death Harry was also survived by his older brother, Norman I. Adams III. His brother Norman died on Dec. 28, 2014. Harry also leaves behind a host of friends and acquaintances from work, his avocation with railroads and aviation, and his travels. Harry’s cremation has been effected. At a later date his ashes will be scattered in the mountains of his beloved New Hampshire.